An authorized factory distributor for ZF transmissions, our large inventory of OEM replacement parts for ZF automatic and CVT transmissions, includes valve bodies, specialized fluids, and manuals. Loyal commercial customers benefit from experienced technical assistance assuring proper transmission repair in their shops. Rebuilt automatic transmissions for Mercedes-Benz and Volkswagen are repaired using OEM quality parts, many which are sourced from our European suppliers to keep costs low. 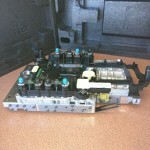 These quality components are available to repair shops. Your complete satisfaction is guaranteed. Trust us with your automotive needs and we assure unparalleled service excellence. With Eurowa Service Ltd., you’ll always be in good hands..
Eurovan Transmission “CEU” - Rebuilt Eurovan 1991 to 1994 Automatic Transmission type ‘CEU” for sale. $. Comes with Torque Converter and Transmission Fluid. 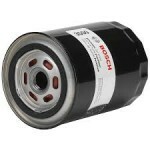 1 Year unlimited mileage warranty, 2 years warranty if installed by Eurowa. ** warranty restricted to normal driving, does not cover abuse like wrong/missing fluids, racing, taxi service, flooding, etc. $1000 Core charge. (Refunded when old … Continue reading "Eurovan Transmission “CEU”"
Announcing Service-ZF-Transmissions.ca - Eurowa is proud to announce and promote it’s sister site Service-ZF-Transmissions.ca, or www.ZFCanada.ca Take a look at the nifty Sun, Planets, and Ring gear animation. ZF Transmissions are used in fine cars, notably from Europe, like BMW, Audi, Volkswagen, Volvo, Bentley, but even other luxury cars like the Chrysler 300. Repair your transmission with perfect-fitting … Continue reading "Announcing Service-ZF-Transmissions.ca"
HomeBulletinAdvert - We have recently advertised in “The Home Bulletin” of Brossard/Montreal Eurowa Services Ltd* Automotive Services & Transmissions Sales & Service ◊ European Transmission Experts Providing quality service for over 35 years, Franz and his team remanufacture European Automatic transmissions and have built a reputation for providing reliable replacement transmissions to our clients. Attention to detail, … Continue reading "HomeBulletinAdvert"
ZF 5hp19 1060 030 106 - The item pictured has sold. Another one has been freshly overhauled and is for sale. Note that the pictures are from the previous unit, so there will be slight differences, notably, the serial number on the new unit will be different. 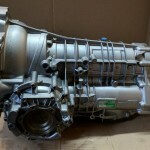 VW Diesel Automatic Transmission: ZF 5hp19fl 1060 030 106 $ with Torque Converter. 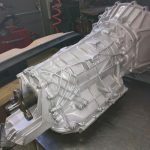 Freshly … Continue reading "ZF 5hp19 1060 030 106"
ZF 5HP24 1058 000 026 Jaguar Transmission - We have a Rebuilt ZF 5HP24 1058 000 026 Transmission. Fits 1999, 2000, 2001, 2002 Jaguar XK8 or XJ8 with 4.0L engine. Jaguar OE Part Number NNE4400AA Rebuilt with Torque $ Shipping: About 170 pounds, LTL (Less Than Load) about $150 within Canada. MB ValveBody with TCM 220 270 31 06 - Mercedes-Benz Valve Body with TCM 220 270 31 06 Fits most of the “larger” cars and SUV’s from 2006 and up. ie most ML, GLC, CL, CLK, SL, S, R, G with 350, 430, 500, 550, 280CDI, 300CDI, 320CDI, 350Bluetec Engines. 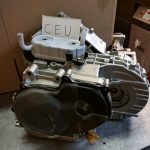 For the 722.9 Series 7-speed automatic transmission, models 722.901, 722.902, 722.903, 722.904, 722.905, … Continue reading "MB ValveBody with TCM 220 270 31 06"
R350 Instrument Cluster 251 440 63 11 - We have a used 2008 R-Class Instrument Cluster Original Part Number 251 440 63 11. From a USA Car, so is in Miles, at about 52,000 Miles. USED $ Made in Mexico. Ready for immediate shipment within Canada. There may be customs duty for shipment into the USA. (2 lbs, 13 x 6 x 6 … Continue reading "R350 Instrument Cluster 251 440 63 11"
Summerizing Special - Expired, Winter special will be posted soon Spring Tune-up Special $95 (parts, fluids and taxes extra) • Complete systems diagnostic test • Engine check-up • Examine cooling and climate control system • Check battery and electrical system • Inspection of steering and suspension • Examine and test brakes • Change oil and filter • Lubricate … Continue reading "Summerizing Special"
R350 251 870 45 89 Command and MCS - Command and Media Control Services unit. 6 1/2 inch LCD screen. USED, Working condition. $4500 List $ Sale price. R350 Command and Media Control Centre Shipping Dimensions: 9 pounds 11 x 8 x 6 inches Call Eurowa 1-877-487-1032. 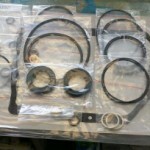 MI 182002N BMW Mini CVT Gasket Kit - We have the BMW CVT Gasket Kit. OEM ZF parts assembled in Germany. Use Genuine ZF parts for your ZF transmission rebuild to ensure proper fitting with a complete set of all internal seals and gaskets. List Price $ Sale price of $ Customs cleared for immediate shipment within Canada, next day shipping available. 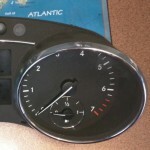 1 … Continue reading "MI 182002N BMW Mini CVT Gasket Kit"